According to Jim, the coming IMF SDR solution will be hyperinflationary, but it will also provide today's central bankers a scapegoat. Will they be able to pull this off before social unrest gets out of control? I don’t think there’s any central bank in the world today that wants a gold standard, but they may be forced to go to a gold standard to restore confidence. In other words, right now the dollar’s the leading reserve currency. I’m expecting that in the next dollar panic, the next financial liquidity crisis, which will happen sooner than later, it’s going to be bigger than the Fed. Meaning the Fed bailed out the world in 2009, but the next crisis is going to be so much larger because the size of the system is larger and the Fed has already trashed its balance sheet by printing $4 trillion in the last five years. What are they going to do? Print another $4 trillion? I mean they’re at the outer limit of what they can print. So the next crisis is going to be bigger than the Fed. The Fed will not be able to re-liquefy the world, so where is global liquidity going to come from in the panic? The answer is the IMF because they have the only clean balance sheet in the world and everyone knows that the Fed has a printing press. They can print dollars, but people don’t know that the IMF also has a printing press. They can print world money which they call special drawing rights or SDR’s, and so you re-liquefy the world by printing SDR’s, and that’s what the elites would like to do. But it may not work in the sense that if people are losing confidence in dollar paper money, why would they have confidence in IMF paper money? Well, it might work if no one understands it, which is what the elites are hoping. But in fact, people might not have confidence in it. In that world, you may have to go to gold. Central banks may have to go to a gold standard, not because they want to, but because they have to. There’s been a lot of talk yet that China has acquired thousands of tons of gold. The world’s largest gold producer. The world’s largest gold importer and they’re also bringing in gold that’s not being reported in the official import statistics using military channels. 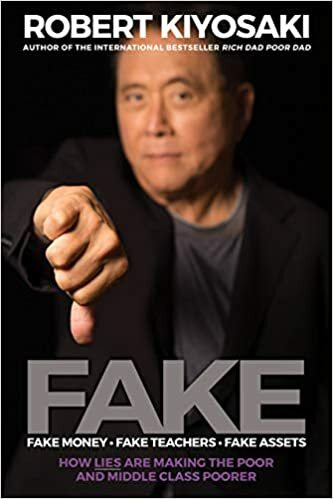 And I talk about that in Chapter 9 and Chapter 11 in my book, how they’re using the People’s Liberation Army to smuggle gold into China overland, without going through Hong Kong. So they’re getting all the gold they can and so are others. But there’s been a lot of speculation as to why is China getting all this gold. Well, they must want a new reserve currency backed by gold. It may end up there, but that’s not what they’re doing in the short run. Here’s the way to think about it. They own $4 trillion of reserves today, mostly in paper assets. Most of that is US dollar denominated and most of that are US Treasury notes. So they’re the biggest creditor of the United States of America. They actually don’t want to gold to skyrocket. What they want is a strong dollar. Nobody wants a stronger dollar more than China because China owns more dollar securities than anyone else in the world. But they’re worried. They’re fearful that we will inflate the dollar and if you do a 10% inflation of the dollar, you reduce the dollar’s value by 10%. That’s like a $300 billion wealth transfer from China to the US because their assets are worth less, our liabilities go down, so we’re stealing wealth from China and they know it. Now they can’t dump these treasury securities. There are too many of them. But what they can do is buy gold and here’s how it works. If we have a stable dollar maybe the gold doesn’t go up that much, but they’ll be very happy with that because their securities will be worth what they think they are. But if we inflate the dollar which we’re trying to do, they’re going to lose money on the paper, but they’re going to make it on the gold. Because we all know that if inflations comes along gold is going to go up very, very significantly. So in effect they’re creating a hedge position. They’ve got paper over there, gold over here. They would like the paper to be valuable, but if the paper drops in value, the gold is going to go up. So they’re actually building a hedge book. One of the problems are “wealth management products” which the banks have set up as Ponzi schemes, offering high rates of return, but financing them not through investment but through the funds of new investors, Rickards said. “How long could that go on. It will go on until something happens. There’s a failure, a fraud, something will cause a panic and everyone is going to run down and try to cash them in,” he said. “They’ve set themselves up through wasted infrastructure investment, opaque financial product and ponzi financing – they’ve set themselves up for a collapse,” he added. If China experiences a softer landing, it will have to be happy with growth of closer to four per cent, Rickards estimated. But if it faces a crash, or a bank default, growth may decline to two per cent. “The world is not ready for this. China is 10 per cent of global GDP. If you take Chinese growth rates down from 7-7.5 per cent even to 4.5 per cent, let alone 2.5 per cent, which is possible, that’s going to have a major impact on the entire world,” he said. Regulators were asleep at the switch. They either have an interest in turning a blind eye. In the US, the futures markets are regulated by the Commodity Futures Trading Commission. They’ve had vacancies that the president has been in no hurry to fill. So it almost looks like the cops are in the doughnut shop, as far as that’s concerned, and a lot of the manipulation’s actually being done by governments. We know this because they operate through something called the BIS. That’s the Bank for International Settlements, based in Basel, Switzerland. The BIS is an interesting organization. It was formed in the 1930s, partly to do gold operations for other central banks. It’s sort of the central bankers’ treehouse or clubhouse or whatever you want to call it. But notoriously during World War II, the BIS was run by an American named Thomas McKittrick and they were brokering Nazi gold. So here you had an American brokering gold for the Nazi’s. So that tells you where the BIS is coming from and they’re still alive and well. And if you read the footnotes to their annual financial statements, they say that they conduct gold sale and leasing transactions on behalf of central banks and commercial banks. But I disguise the identity of course, and so between the statistical evidence, the disclosures in the BIS, the fact that we know central banks have leased and sold gold from time to time, IMF dumping gold on the market. So it’s historic. It’s blatant. There’s statistical evidence. It’s very, very clear what’s going on and I’m a gold investor. I manage portfolios by investing in gold. I recommend it to clients, but you do have to understand that if you’re investing in gold you’re fighting every central bank in the world. The manipulation of the gold market is not something that’s really debatable any longer. 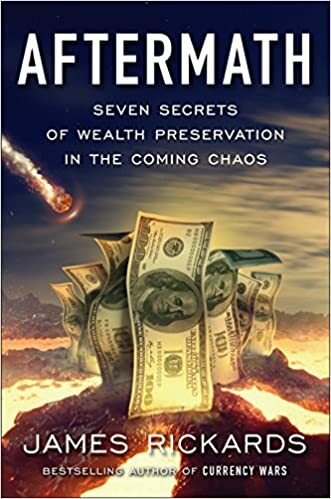 The evidence for it is very clear and I talked about this in my new book, The Death of Money: The Coming Collapse of the International Monetary System, particularly in Chapter 9 which is about gold, but also in other parts of the book. Now the particular class action lawsuit that you’re referring to is aimed at the five members of the London Gold Fix, which is a London-based process whereby the price of gold is set twice a day by kind of an interaction indication of interest among these five major dealers and we’ll see how that plays out. Now these lawsuits can take years to work out because the defendants typically come in, and file a motion to dismiss and that has to be argued and then decided by the judge. If the plaintiff gets to go forward, you get into discovery and then that opens up a lot emails and so forth. So the cases take years to play out. But beyond the London Fix, there are other forms of manipulation that may be even more important to gold investors, particularly on the COMEX, that’s the commodities exchange based in New York. And there are some very interesting recent statistical studies. I’ve seen some of them myself. One is about to be published. It will promulgated out, but I’ve see some private research on this and what it shows is that, for example, if you could go back ten years and have two hypothetical accounts, then one of them would buy the open on the COMEX every day and sell it at close, so you would basically own the COMEX trading hours. And the other account would buy the spot market after COMEX closes and sell in the spot market just before COMEX opens the next day. So one account, in effect, was on the COMEX trading day and the other account would own the afterhours. Now what’s interesting is that over a ten year period those accounts should perform almost identically. On any given day there could be some differences or some volatility based on the timing of particular events, but that’s going to even out and over ten years they should be the same. In fact, they were nowhere near the same. The COMEX accounts showed massive losses and the afterhours accounts showed massive gains, both deviants from the overall market. And what that tells you is that the COMEX is being manipulated, and the price is being suppressed, mostly with large sell orders at the close. Then it would pop back up again in the afterhours. So this is a smoking gun. So if I were running the manipulation I would actually be embarrassed at this point because it’s so blatant. So I think the London Gold Fixing cases are important, but they’re not the only evidence. The weight of evidence is clear that the gold market is being very heavily manipulated. James Rickards, author of the new book, "The Death of Money," foresees big inflation because the U.S. dollar's buying power will shrink. Rickards predicts, "Imagine gas at $20 a gallon and bread at $10. That's what we're talking about." So, if big inflation is coming, what about gold? Rickards says, "When I say the price of gold is going to $7,000 or $9,000 per ounce, which I expect it will, what I am really saying is the dollar is going to collapse 80% or 90% or more." It did in the 1970's. None of this is unprecedented. It all happened before." Rickards says, "When a collapse happens it will happen quickly. You won't see it coming. There won't be time to run out and buy gold, and it probably will not even be available at that stage. You need to prepare now." "I think it’s not safe. It is physically safe, but the US government might steal it. If you have a financial panic and there is a collapse of the dollar, and the US government sees a need to back the dollar with gold to restore trust, there is a risk that the US will confiscate that gold. The US government would add that to the US gold supply, create a new gold backed dollar, turn to the countries (whether the Netherlands, Italy or France) with a certificate and say they could get their gold back in the new system. That’s what I mean with re-writing the rules of the game." My methodology is the same which is I’m a complexity theorist and I use a number of techniques. Complexity theory, Bayesian Technique, causal inference, network science. I have a number of scientific and analytical tools that I use to understand markets. So like any tools, the longer you use them you can refine them and get better at it. So I’m probably getting a little better at it. But I’m using the same basic tools. See, that hasn’t changed, but what has changed is that events are actually playing out the way we expected and predicted in Currency Wars. 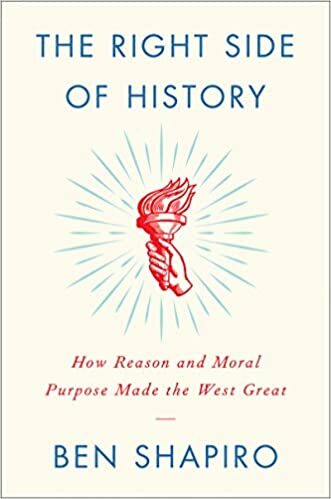 So the new book also has forward projections, so I hope leaders can take that to heart and feel some comfort that they’re looking at the future when they read the new book. Just to give you a concrete example. In Currency Wars, my first book, the first two chapters talk about a financial war game conducted by the Pentagon at a top secret weapons laboratory outside of Washington D.C. and a lot of readers really enjoyed that chapter. But what we did in that war game, and I was one of the planners and facilitators and I got to participate in the war game. China has become so dependent on investment to power its economy that it is going ahead with such projects although the capital is ultimately wasted, he said. "That does create jobs and growth in the short run, but if you can’t use it, you’ve wasted it," Rickards said. China’s leadership, worried about a downturn in exports, wants domestic consumption to take on an increasingly important role in the economy. There is talk of floating the yuan and letting market forces shape its state-owned companies. But as the country outgrows the planned economy, there are signs it is having trouble managing credit and that it's banks may be in trouble. 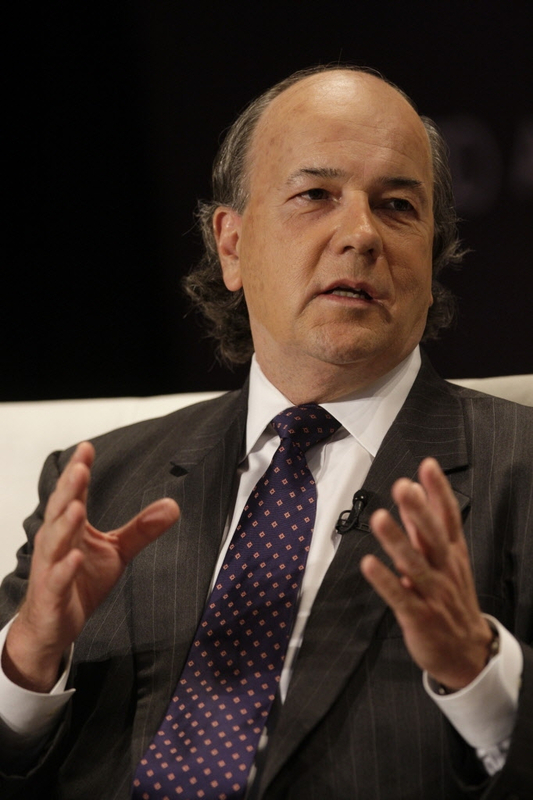 Jim Rickards, an American economist and investor, believes China will never return to the 9.9 per cent growth rate it has had over the past 30 years. “When you’re starting from a very low base, you can grow very rapidly with very little input,” he said in an interview with CBC’s The Lang & O’ Leary Exchange. The economic miracle was powered by rural peasants migrating to the cities, forming households and producing cheap consumer goods for the West. But now fewer people are moving into cities, many Chinese are already approaching the middle-class and there are cheaper countries to manufacture goods. “Beyond that China has mismanaged its economy. It has a lot of structural problems that could cause much more rapid collapse in the growth,” said Rickards, author of the soon-to-be released book The Death of Money. He points to China’s “ghost cities” in which apartment buildings, hotels and shopping malls go up on vacant land, with no one to live there.